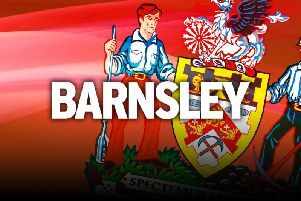 Barnsley's search for further additions to their squad could go down to the wire as the loan window enters its final two days. BClubs have until 5pm on Friday to make any signings before the window is shut until January and the Reds are keen to bring at least one more player to Oakwell. They brought Cauley Woodrow to the club last week 24 hours after selling Tom Bradshaw for £1million and assistant head coach Andreas Winkler hinted that they were also after a winger. They are understood to have also had a strong interest in Portsmouth's Conor Chaplin, but reports on the south coast suggest the striker would prefer a move to League One rivals Coventry. Ryan Christie, Callum O’Hare and German Mike-Steven Bahre are all other names that have been linked with the Reds recently and head coach Daniel Stendel is hoping to strike before the weekend. One position that the Reds do not need to strengthen is in between the posts. Goalkeeper Adam Davies has kept four clean sheets from his five League One outings this season and that form has seen him named in Ryan Giggs' Wales squad for the forthcoming international week. The 26-year-old, who was last in a squad in October 2016, has been listed alongside Wayne Hennessey and Danny Ward for the UEFA Nations League games against Republic of Ireland and Denmark. Meanwhile, Jacob Brown is relishing Stendel's commitment to giving youth a chance at the Reds. The 20-year-old made his first appearance of the season in coming off the bench in Saturday's 2-2 draw at Scunthorpe. “Just because we're young it doesn't matter here,” Brown said. “I kept working hard in training. “It's been harder for me because I've been out injured for a few weeks but now that I have got my chance I feel I have done well and I just have to keep working hard to get more chances.